Our customers asked. we listened. We DELIVERED. Based on extensive customer feedback, Davenport Machine is pleased to offer our new Cam Operated Rear Brake. 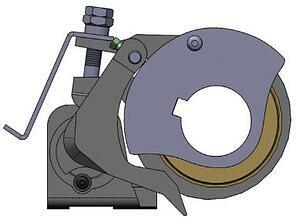 The BP-600 is a new Cam Operated Rear Brake available as an option to the standard 5080-187-57-SA.